Back at Google I/O, as Google was announcing to press that Android apps and Google Play were soon coming to Chromebooks, they told us to expect the first dev builds of Chrome OS with support for the new feature during the month of June. Here we are in June and 53 has arrived with Android app support. Well, so far, only on one of the three devices scheduled to receive early support. 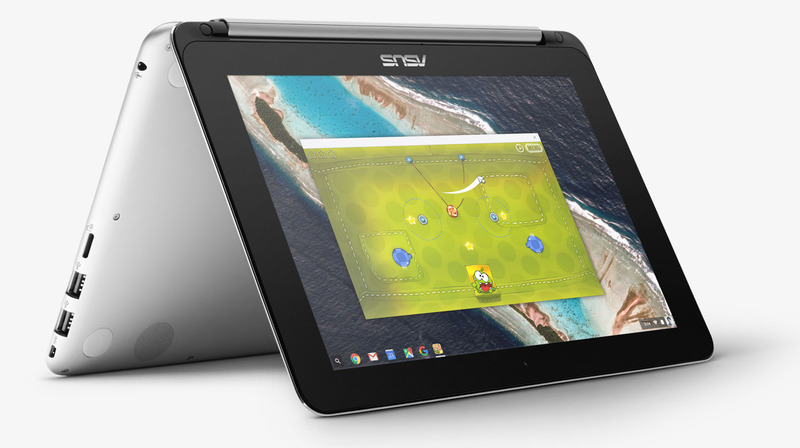 Last night, just as Team USA was dispatching Ecuador and LeBron was pummeling the Dubs, our Chromebook Pixel (2015) and ASUS Chromebook Flip both saw the update to Chrome OS 53. Unfortunately for me, the Pixel (2015) does not yet get Google Play. However, the Flip has it! If you own the other device of the initial three, the Acer Chromebook R11, I have yet to see any reports of it seeing Google Play yet. As of this morning, still, the Flip is it, though the Pixel (2015) and R11 shouldn’t be far behind it. We’ll have more shortly, but if you own the Flip and want to give Android apps a shot, head into Settings>About Chrome OS. You’ll need to flip to the “Developer – unstable” channel, so you will need to click on the “More info” link under the “Check for and apply updates” button. Once in there, choose the “Developer -unstable” option, let it update and reboot. Confirm that you are on Chrome OS 53 and then in general settings, look for an option in between “Search” and “People” that says “Android apps.” Enable access and be on your way! For those with the Pixel (2015) or R11, let us know in the comments if you are seeing Android apps access. And for those of you with the Flip, let everyone know what you think so far!